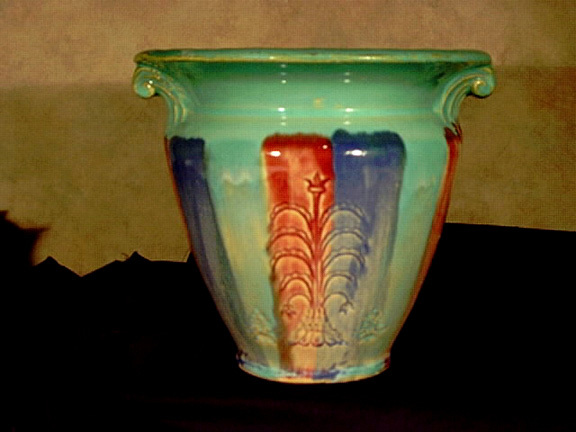 Description: This is an early Hull, blue, turquise and red, stoneware vase or jardiniere. Early 1920's. There is a small, pre glazing chip in one side, and other factory flaws. 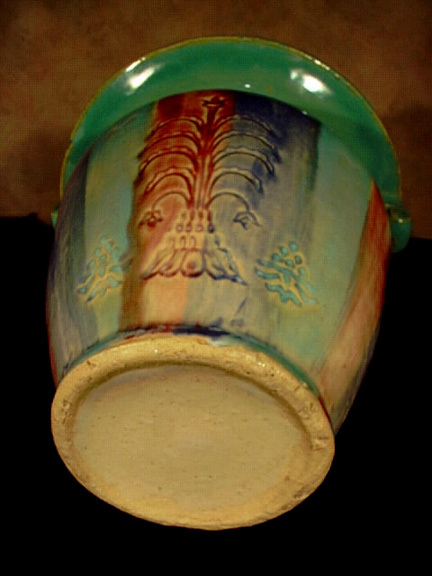 This is a very hard to find piece of Hull Stoneware.